by Rafael Prieto Curiel. Published on 20 August 2015. 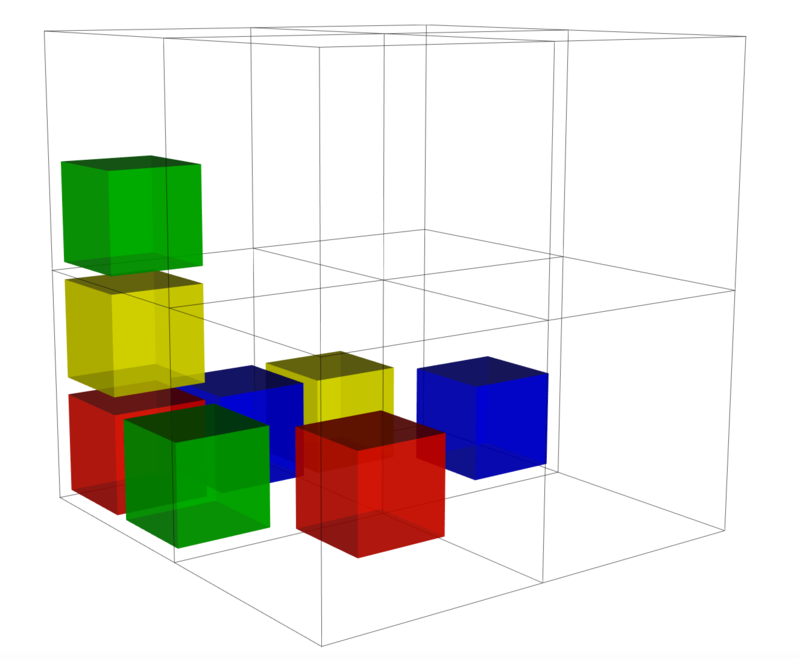 Here at Chalkdust HQ, we love inventing ways to make Sudoku-style puzzles more interesting. 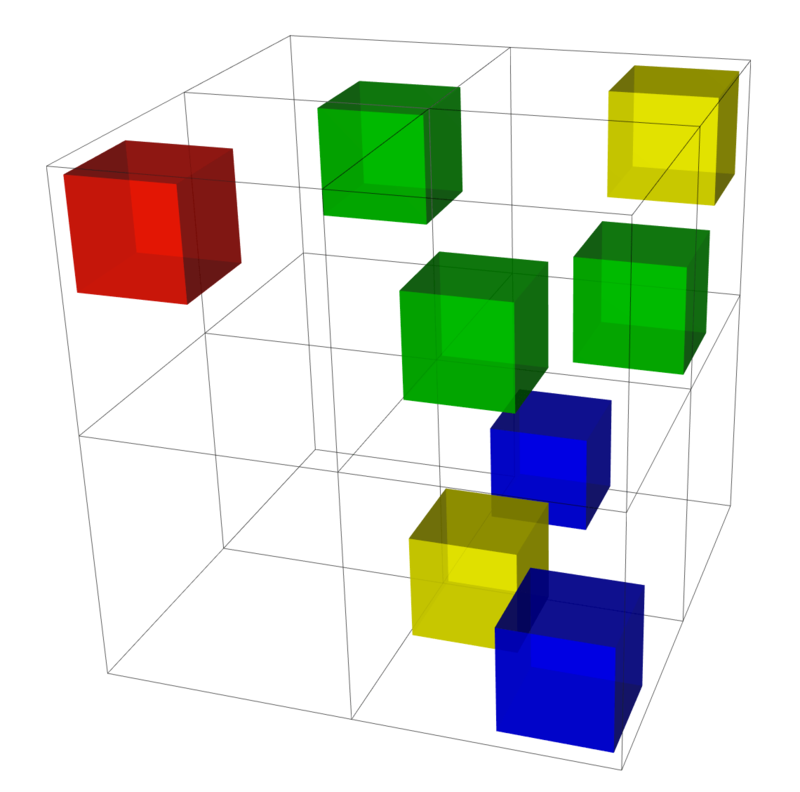 This week, I will be sharing some 3D puzzles, which I call Cuboku. …and four from the top. 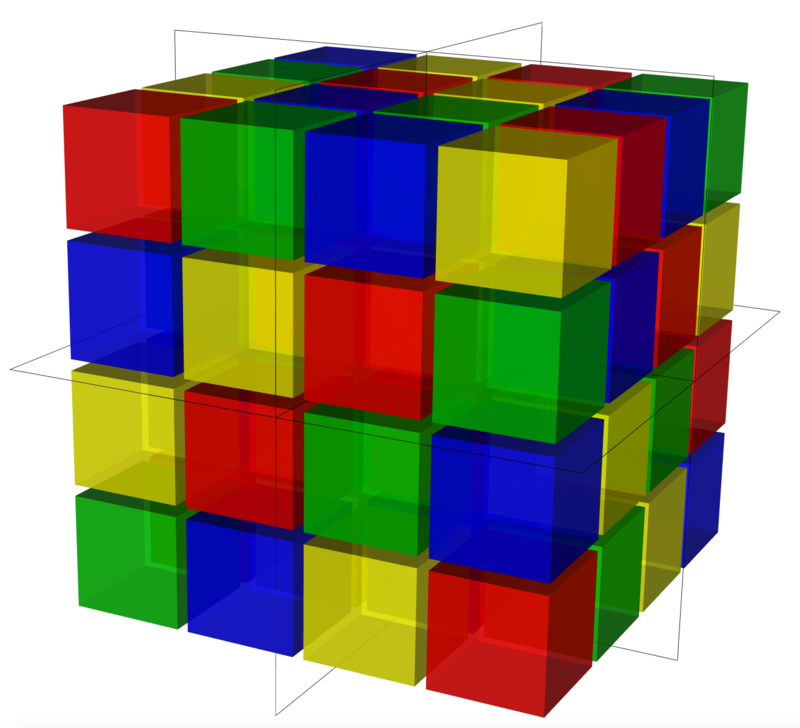 the first puzzle: complete the rest of the Cuboku. 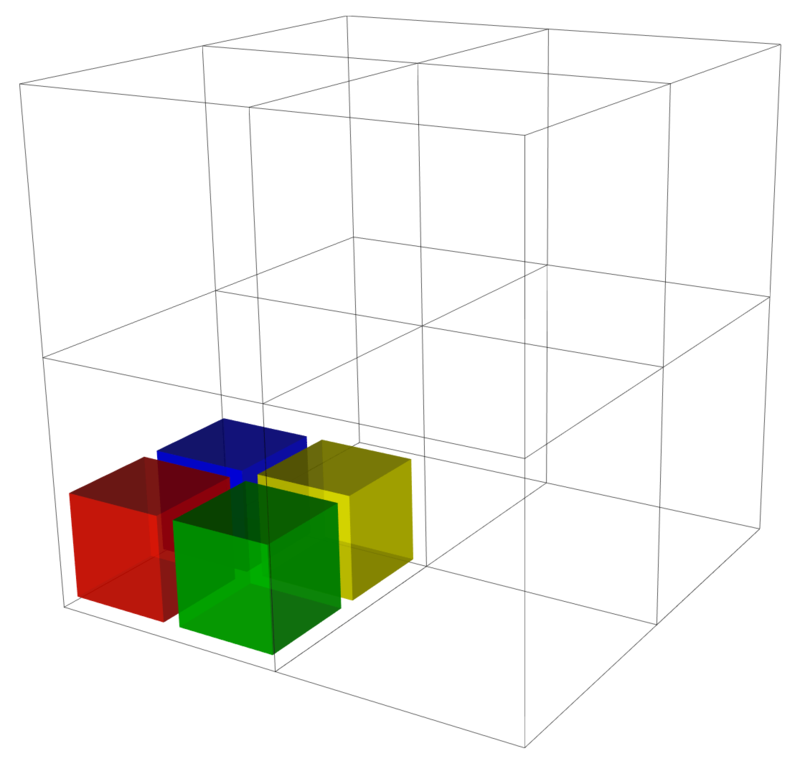 Fill the rest of this cuboku. It’s All About the Corners! 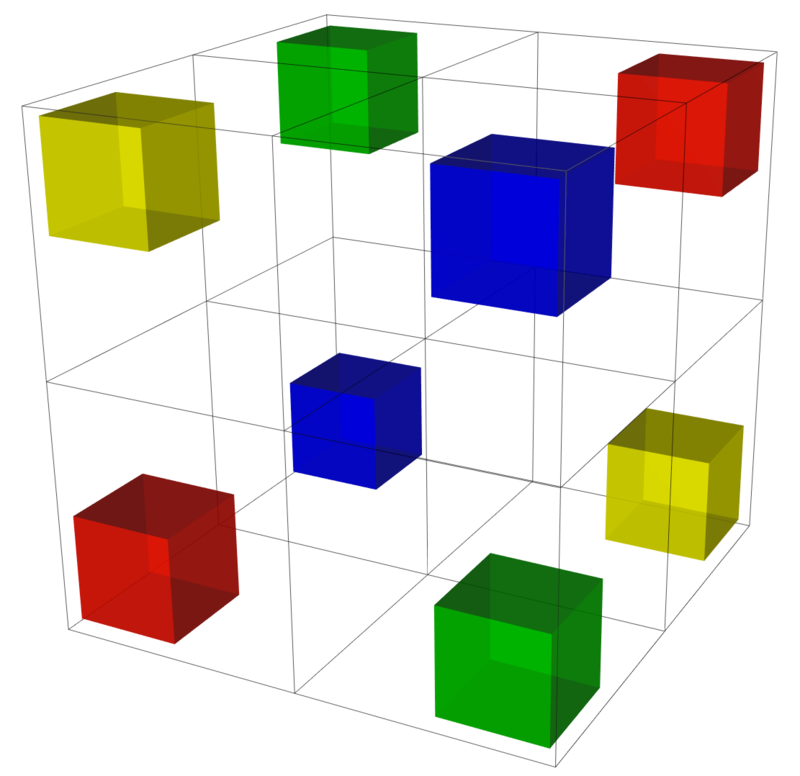 If the vertices of the cube are coloured as below, how many ways are there to complete the rest of the Cuboku? 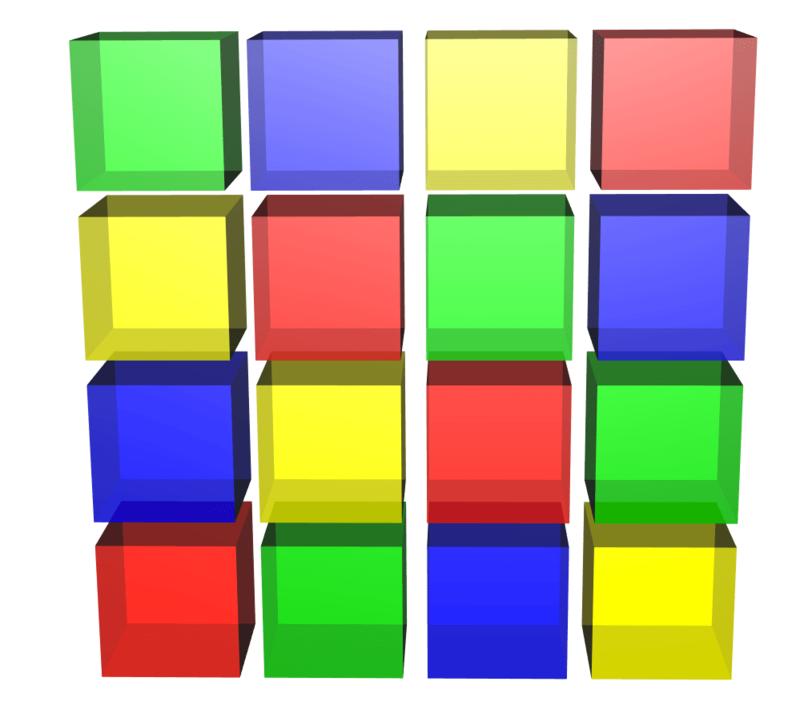 If you begin with the following cubes, how many ways are there to complete the Cuboku? ← Is there a perfect maths font?